When buying an essential oil you may see the abbreviation “ct.” as part of the plant name (e.g. 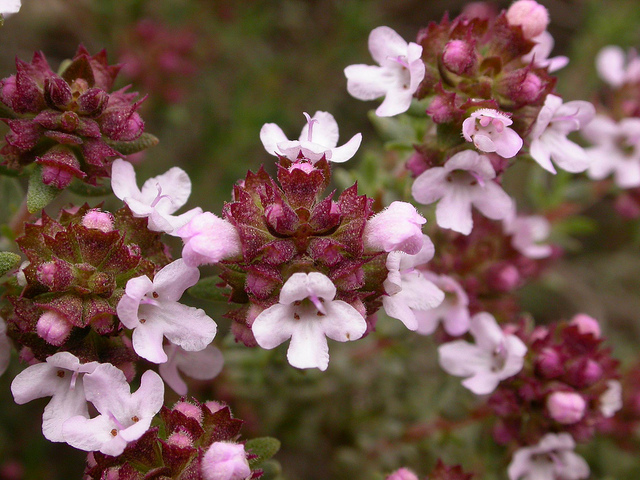 Thyme ct. Linalool). The designation ct. is short for chemotype, and it identifies a plant that has a chemical distinction. Most essential oils do not have various chemotypes, but in cases where an essential does it is to indicate a difference among essential oils from the same plant species. This chemotype identification becomes part of the consideration in choosing the proper oil to use. Different chemotypes can have different therapeutic properties. Although the chemotype chemical listed may not be the major constituent of the oil, it can drastically change the instances in which the oil is used. It can also change the scent profile. I mentioned Thyme ct. Linalool above because that is the type of Thyme essential oil that I prefer – it is sweeter and gentler making it easier to incorporate in blends for a broader range of people. So, when using Aromatherapy to address a specific concern, analyze plant chemotypes when they are available. It can give you a larger scope of essential oils to choose from, even within species of the same plant.